YOUTHOPIA: ARE THERE ANY ATM AT THE NEW LOCATION? ARE THERE ANY ATM AT THE NEW LOCATION? Yes peeps! To find an ATM is not a problem at our new location. 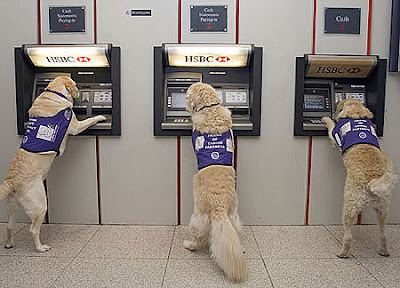 We understand how difficult it is to shop without ATM around. So fret no more! At our new location, you need not travel far to look for one. You dont have to drive around too! Its everywhere! The most common one, Maybank is right in front of the mall. Even the mall itself have 2 ATM machines located somewhere in a glass room near the link bridge to Sg Wang. Even Sg Wang have rows of ATMs in it LG floor! How convenient!! So rest assured, your shopping experience is a pleasant one! Wow people are asking about me? Hehe yes - I'm still around.